That’s certainly what her New York label, Island Records, was telling her – and for good reason. In April 2014, the Canadian singer/songwriter’s smash hit Hideaway climbed to No.1 on the UK Singles Chart. In the months before this feat, it had won influential backing from BBC Radio 1 DJ Annie Mac, who made the then-independent track a staple of her on-air shows. Hideaway went on to go multi-Platinum in Italy and Canada, Platinum in the UK and Germany, and Gold in the US – not to mention becoming one of Island’s rosiest commercial triumphs of 2014. Written entirely by Kiesza with her producer, Rami Samir Afuni, the track has now been streamed more than 700m times across YouTube and Spotify alone. Kiesza, often cited as a streaming-first case study by Spotify at the time, had the world at her feet; she was forward-thinking, self-writing, hitmaking artist with the global backing of a $6bn-a-year corporation in Universal Music Group. But then, the wind changed. Despite bursting out of the blocks with one of 2014’s smashes of the summer, and being backed as a priority global artist by a US major label, Kiesza’s commercial stock soon began to slip. Her follow-up to Hideaway, Giant In My Heart, was released four months later in August 2014. It became a UK No.4, but promotion and radio support, especially in the States, noticeably tapered off. In October 2014, the album from which both tracks were taken – Sound Of A Woman – arrived, but it underperformed, coming in at No.40 in the UK and No.42 on the Billboard 200. Today, less than five years on, Kiesza is fresh out of her deal with Island Records, and fully independent. She is optimistic, too, having recently joined forces with Carl Hitchborn, founder of British independent label High Time Records, who is committing to the singer/songwriter like no-one has before. Kiesza, then, finds herself in an unusual position. She is full of positivity for the second phase of her career, but also free to tackle a difficult question – one which which major-signed acts typically never get to publicly answer: How did a bright new talent get so buried, so quickly, after contractually committing herself to the upper echelons of the music business? The answer is a cautionary tale for any self-starting artist with a label contract in their hand – and/or any wisp of naivety about the hard-hearted expectations it may contain. Initially, Kiesza created and released Hideaway – including its award-winning, one-shot video – entirely independently. The record was signed to Lokal Legend, the indie label of her producer and collaborator, Rami Samir Afuni, who also happened to be an A&R at Island. Once Annie Mac started backing the song, however, major labels started to circle. A meeting was taken with Atlantic, but – at the behest of her producer and other team members, says Kiesza – “it was always going to be Island”. A deal was struck in early 2014 with Island, then run by David Massey. It was agreed that Hideaway would remain quasi-independent until it reached No.1 in the UK, at which point the global Island machine would engage. The problem, according to Kiesza, was rooted in divergent ambitions: Island wanted “another Hideaway”, to prime the EDM-hungry pump of US radio; Kiesza, in contrast, wanted to lay the pathway to becoming a varied career artist – one able to shift across, and indulge in, multiple genres. This ability to flit between different styles had previously served her well in writing rooms, and caught the attention of Stellar Songs/Sony/ATV – where she signed for publishing in late 2013. But in Island, she says, she found a label whose focus on US pop radio left little space for anything that wasn’t “more of the same”. “Hideaway was like a unicorn – it wasn’t a normal situation,” she tells MBW. “When things are successful in this business, people start to change – they start to grab, and they show their true colors. And when something goes as quick as Hideaway, they can change in an instant. This growing tension between artist and label was made worse, says Kiesza, by a management company which was keen for her to plough a Hideaway-like dance-pop furrow. 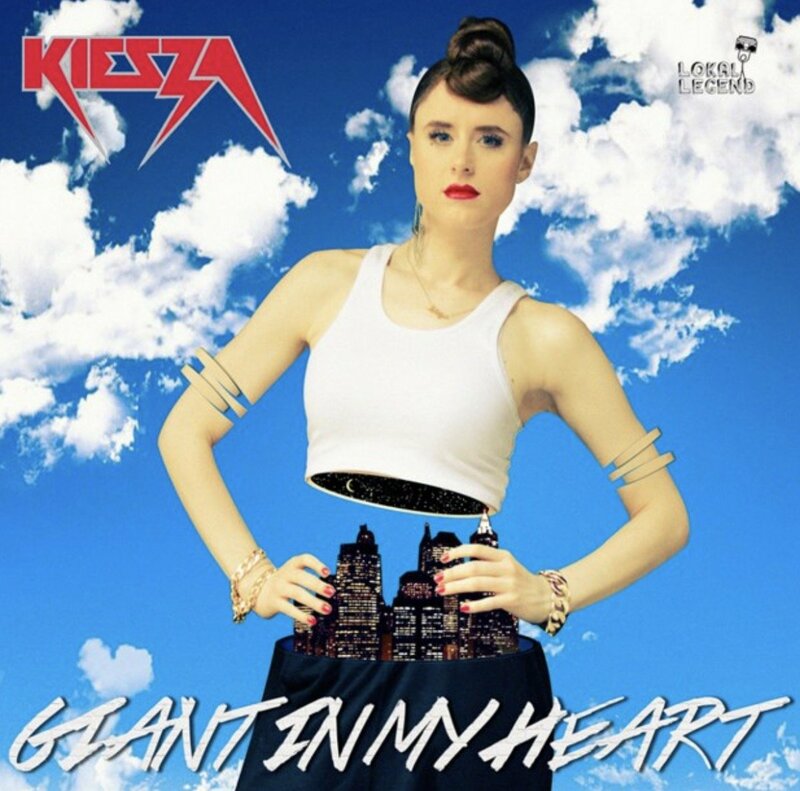 When Kiesza presented follow-up single Giant In My Heart to her team, she observes, “everyone got terrified”. “Because Hideaway was still going so fast, the label was like, ‘It needs to go straight to radio [in the US],’ instead of building it organically and allowing some time for the sound to crossover,” she says. “I knew it was too soon to go that hard that quickly on radio, and different states would need time to adjust to a house song. At this point, Kiesza started to suspect people within her label were deliberately passing responsibility for her campaign – particularly, making money available for videos – to one another, leading to a sense that nobody could sign off on the backing she required. “They all freaked out because it wasn’t Hideaway,” she says. “I told them it was going to take longer, because we’d started to notice that it was gradually becoming a super-fan favorite; many of my fans connected with Giant in My Heart on a deeper and more personal level than Hideaway. 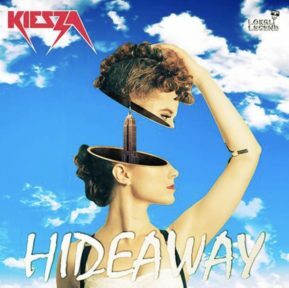 Kiesza says she and her choreographer, Ljuba Castot, began independently promoting the track at club nights in the UK and New York, attaching it to pop-up performances of Hideaway – a move she believes was instrumental in its Top 5 UK performance. She adds: ”I haven’t met anyone in the music industry who isn’t the nicest person I’ve ever met. They hug you, embrace you, and talk about all these plans. Things went from bad to worse when Kiesza pressed for the label to promote Sound Of A Woman, a strings-led dramatic ballad, as her third single. Sound Of A Woman was eventually released, with muted support, as Kiesza’s fourth single on May 2015 – over a year after Hideaway had taken charts and dancefloors by storm. The artist was in despair. She was beginning to feel her career slipping away from her – and had twigged that her record company now viewed her as a problem signing. The lowest point came in the months following Sound Of A Woman’s release. There’s no getting around the fact this is a pretty manipulative thing for someone to say to a young woman who, by nature of her career, holds a microscope up to her self-image more than your average Jane. Yet, to her credit, Kiesza continues to see the argument from both sides. “None of these people were bad people – I think they were completely ruled by fear when things were new or uncertain. “It was the same for the label, my management and on tour: you start getting treated like a porcelain doll, or a baby. People don’t want you to get upset, so they hide what’s going on from you. “It was really stressful, walking into rooms when there’d clearly been an argument going on – at which point it would fall silent. Once, on tour, I was even asked to leave a meeting which was about me. It’s so strange. “I think it’s because, while everyone wants you to do what they want, they’re also kind of afraid of you – there’s this fear on every level. Kiesza credits David Massey with introducing her to Stuart Price, who is now working with her on new material – including new single Phantom Of The Dancefloor, out August 10, which ambitiously mixes operatic trills, gothic meltdowns and a deep-wobble house chorus. Massey’s recent departure from Island to Arista, says Kiesza, enabled her to break away from the Universal label; there was a ‘key man’ clause in her original deal which permitted her to go when Massey did. Eventually, Kiesza also decided to leave her second management company, after growing tired of “calls going unanswered”. After three-and-a-half years of working together, and having already presented a complete concept album, Kiesza terminated her agreement with Crush. Today, however, Kiesza has good reason to believe in the future – and a new, effusive champion in Carl Hitchborn. As per High Time’s standard artist deals, Kiesza will now see her management, label, branding, sync and live activities all handled by a single global team. Hitchborn and Kiesza are now working on an initial “two-year plan” which, in the first instance, focuses on re-engaging her social channels with just a slice of the millions of people who have downloaded, streamed or pirated her music over the years. As for Kiesza’s past? She’s learned harsh lessons she says she’ll never forget. “If I could go back in time, I never would have signed to a major label,” she comments. She adds: “When you’re Drake, you can do whatever you want: the big players are getting all the funding, and all the attention from everyone in the industry. “But I worry about the other 99% – there are hundreds of those artists out there stuck in a system that isn’t fair and doesn’t listen to them. “Here’s what often gets forgotten: when you take an artist and you roadblock their creativity, you are destroying them – in essence you are suffocating their soul.